This Program prepares you for a job as a Recording or Mixing Engineer, Music Producer, Sound Engineering Technician, Audio Equipment Technician, and Media Communication and Equipment Worker. You will be able to run a wide range of equipment with confidence and creativity. The classes are not just about Audio Recording — they are about how to make any type of music more effective physically, mentally, emotionally, and spiritually. Therefore it also prepares you to Record, Mix and Produce your own music for sale. CLICK HERE to checkout feedback from our graduates. We use a program like Skype. This is the ideal situation. You can see our computer screen with our Digital Audio Workstation in real time, and we have it setup so you can hear what we are mixing in real time. We can also view your screen to critique what you are doing on your program and give feedback. You will have plenty of time to ask questions directly. You will receive a 200 page reader and David’s book, “The Art of Mixing.” You will also receive multitrack files of various songs to load on your computer and mix. There is a midterm and final exam. We use ProTools, however the concepts that we teach are valid for any Digital Audio Workstation. Therefore, you can also do the class with other software such Logic, Ableton Live, Digital Performer, Cakewalk, or Cubase — as long as you know the basics of how to run the software. If you have ProTools it is not necessary to know the basics. We can also help you figure out which ProTools system to buy (and can help you get an Educational discount). You will need a basic USB Headset with mic built-in. The least expensive is just fine. Spectrasonics Omnisphere Software Sound Module – Really cool sounds that are ideal for healing and raising consciousness. Spectrasonics Stylus RMX Drum Module – Simple drum module that makes it easy to develop a wide range of beats (including a full range of Dance beats). Live instruction with David Gibson (CLICK HERE for more information about David). Gerald Savage (CLICK HERE for more information about Gerald). David will also be available by email randomly. Often he will get back to you almost immediately. Maximum time would normally only be 24 hours (except on weekends). You will also be able to interact with other students in discussion forums. • Work as a Recording Engineer, Mixer or Producer in the field. • Record, Mix and Produce your own music for sale. • Obtain the fundamental knowledge and skills needed to use computers in music production. • Acquire skills in the operation of professional equipment used in recording studios and comprehend how the equipment is used to create a variety of mixes. • Gain a perspective on different production techniques and an understanding of the traditional aesthetics used in music recording. • Gain an understanding of basic electronics theory and troubleshooting. • Learn the fundamentals of digital audio recording including the process and skills required to operate digital audio workstations. • Obtain the skills to record, mix and produce projects that are high quality through hands-on time on the equipment. • Understand the basics of musical nomenclature. • Learn to recognize, create, & utilize Notes, Intervals, Scales, Modes, Chords/ Harmonies, Rhythm, Dynamics, Time signature, & Basic Song Form/Structure. • Develop initial abilities for composition & arrangement. To get the Certificate at the Institute or Online you must complete 148 Hours. You must also complete the 3 courses within the Program with a “C” average. There is a final exam. Attendance must be at 90% or better and no outstanding fees. You must also purchase a recording program and keyboard (as mentioned above). Online classes start about every two weeks and take 5 months to complete. You must complete the program within 7.5 months. This class explores the function and operation of studio equipment with a perspective on how each piece of equipment contributes to creating mixes that affect us deeply. In this class, you learn basic of editing, cutting and pasting, trimming, shortening or lengthening a whole song, fades, and crossfades. This is the only class that pertains specifically to ProTools – Digidesign’s Multitrack hard disk recording and editing system. Even this class is still useful in case you are using at programs like Logic or Ableton Live. • Time Based Effects – Delays, Flanging, Phase Shifters, Choruses, Reverb – And how they Affect Us. We cover how to use MIDI to play back a full range of synthesizers. We also explain how to embed binaural beats in music that are in tune with the key of the song (or your own home or Soul note). We create songs based on intentions where every part of the song is talking to every other part. We explain all the things that a producer does for different styles of music. We then explain a step by step process for producing a project — critiquing and refining each of the 13 aspects of a song. We show you how to map out a song in detail in order to work with the overall song structure and arrangement. An overview of common values held for what makes a great mix. In-depth instruction on Mixing Theory using the Virtual Mixer Concept based on Sacred Geometry and how mixes create emotional dynamics. Dynamics that can be created with each piece of equipment to create different structures of mixes for different styles of music and songs. We cover all the different types of Microphones – Dynamic, Condenser, Ribbon, and PZM, and discuss when to use one mic vs. another for different instruments and situations. How to mic instruments including Crystal Bowls, Tuning Forks, and Voice. We also explain what Direct Boxes do, all the settings on them, and various ways to use them. We discuss how to tune your music to different concert pitches. Even more importantly we cover ancient tuning systems — Just Intonation, Pythagorean vs. Equal Tempered tuning systems — how to use them and create them in the audio program. The Labs provide enough hands-on time to run ProTools, do Recording, Mixing and Mastering from a PsychoAcoustic Perspective with facilitator assistance. Understanding of musical intervals, chords, and chord progressions in order to expand your musical emotional capabilities when writing or producing a song. Music writing and composition in order to get your musical ideas into form and take them to the next level. Understanding or rhythm structures to help with rhythm composition. To help with your own music production, but also as an Engineer or Producer it is important to be able to sing and play any musical ideas that you might have in your head. This classes explore the function and operation of studio equipment with a perspective on how each piece of equipment contributes to creating mixes that affect us deeply. The basic characteristics of sound are explored in order to give you a basis for understanding what each piece of equipment is doing to a sound. Depending on the harmonic structure of a sound, sounds will affect you differently. When you understand the different harmonic structures create different calming or activating effects in us physically, mentally and emotionally — you know better how to choose sounds for a particular issues or intentions. Also, it is important to understand that when you use an equalizer you are simply turning up or down the volume of harmonics that are present in a sound. This class also gives you an expansive perspective on how the harmonic structure connects to nature mathematically. Knowing this allows you to create music that is more in alignment with nature. We then discuss another mathematical pattern, the Golden Mean – and how you might incorporate this basic structure of love and life into your production. In this class we look at what Decibels mean and how we perceive differences in volumes — important for setting relative volumes in a mix. We also discuss Envelopes or “Change in Volume over Time” and how they effect us emotionally. Finally, we discuss phase cancellation and how to deal with it when miking an instrument with more than one microphone. We also cover the esoteric meaning of phase cancellation. 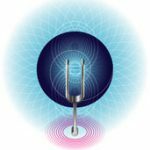 We know all the frequencies by heart (we are frequency beings), but it is important to get to know them by name. We cover all the archetypal healing frequencies from 1 hertz to the dolphin range of 500,000 hertz. We also map different frequencies to chakras, which is helpful for learning the frequencies and getting them in the body — and to understand different types of frequency arrangement. We then explain all the knobs on an Equalizer, and cover a detailed but extremely simple technique for using one. Time Based Effects – Delays, Flanging, Phase Shifters, Choruses, Reverb – And how they Affect Us. We explain all the parameters of each effect and how they are commonly used in different styles of music. We then look at how they effect our heart rate, brainwave states, and consciousness. We cover all of the settings in Compressor/Limiters and exactly how to use them on individual instruments and when mastering a whole song or CD. We also discuss compression settings for sound healing projects to create a deeper state of peace. We also explain how to use noise gates to isolate sounds, get rid of noise and bleed from other instruments and clean up the mix in general. Side chains allow you to add low bass sounds to a kick drum, or white noise to a snare, or trippy sounds to vocals. We cover how to create backwards reverb effects. Autotune allows you to tune individual notes within an instrument. Finally, we look at some noise reduction effects that can take a buzz out of a a sound while it is playing. First, we explore the difference between Audio and MIDI recording, including sampling rates and bit depth in order to get the best quality recording possible. We cover how to hook up MIDI instruments (keyboards mostly) and record them using MIDI, allowing you to transpose and quantize the timing really easily. We show you how to record a song with a keyboard from scratch, and then have you create your own song using the Sound Modules in ProTools. We also explain how to edit and mix MIDI instruments, including Quantization and Transposition. We continue with some more details and tricks on how to create complex arrangements with MIDI. We then explain the different brainwave states: Delta, Theta, Alpha, etc., and how to create binaural beats to entrain the brain into these states. We then have you create a song with binaural beats that is tuned to your own key — your root/soul frequency, or the key of the song. We show you how to create a musical hologram where the pitch of the song matches the tempo, the brainwaves, the heart, and the breath – so that every part of the song is talking to every other part — making the sound incredibly powerful. We explain David’s system for visualizing sounds between the speakers and then use the system to explain all the different structures of mixes possible. We cover each of the dynamics (feelings and emotions) that can be created with the four tools you have in a mix: Volume, Panning, EQ, and Effects. You will then be able to conceptualize the type of mix you want to create before you even start mixing. We show a wide range of visuals of songs in real time and discuss what the engineer did. We cover the concept of “Focus of Attention” in a mix, whereby you create a focus on magic in the mix. We cover the concept of perceiving the mix from “inside the music” — a technique that allows you to perceive the mix from a higher perspective. We cover how to master a full CD with compression, a mastering limiter, setting time between songs, and balancing volumes and equalization from song to song. a. Frequencies – There are archetypal frequencies that have been used since the beginning of time to affect us. b. Timbres – Different harmonic structures affect us in very specific ways. c. Musical Intervals and Chords – The relationship between two frequencies or more can be used to create specific states of consciousness. d. Music (Changing musical intervals and frequencies) – When musical intervals and frequencies change (or stay the same) over time we then add rhythm as another component affecting our entire system. Specific rhythms will entrain the heart, brain, and nervous system. 2. Use of Intention. It has now been proven scientifically in multiple controlled studies that Intention is effective. It has also been shown that Intention gets embedded in the music and is then transmitted through to the listener during playback. Holding intention consistently through the entire recording process — during composition, performance, recording and mixing – can dramatically add to the intensity of a project. 3. Full frequency range of sounds. As shown by the research of Alfred Tomatis, every frequency is a nutrient. Therefore, using the full frequency range of sounds affects your entire system at every level. 4. Harmonic structures that support the intention of each song. Odd harmonics activate; Even harmonics calm. Even pure sounds (versus rich and complex timbres) have a completely different effect on us physically, mentally, emotionally, and spiritually. 5. Tempos set to the breath. When you set the basic tempo to a really slow breath the music taps into a person’s bio rhythms at a much deeper level. When the chords follow the in and out breath they entrain your breath into a deeper state of relaxation. It also makes it so the listener can consciously breathe along with most of the songs. 6. Use of binaural beats to entrain the brain into a variety of brainwave states. It is now possible to embed frequencies in the music that will subconsciously entrain the listener’s brain into a particular brainwave state (gamma, beta, alpha, theta, delta). When two notes are detuned the difference between the two notes creates a 3rd frequency which is below our normal hearing level. This 3rd frequency entrains your brain into delta (deep sleep or meditation), theta (creative day dreaming), or alpha (relaxed awareness). When you listen on headphones you get the extra added benefit of left and right brain synchronization through the Corpus Callosum, which connects the left and right brain. 7. Peaceful Endings. One of the most important aspects of Sound Healing is when the sound or music ends — leaving you in a place of perfect peace. There are specific techniques you can use to maximize this effect. 8. We will discuss many other Sound Healing music production techniques based on Timbre, Musical Intervals, Modes, and Energy Flow. 9. Ancient tuning systems such as Just Intonation and Pythagorean tuning systems tap into a mathematical structure that resonates throughout nature (including our solar system). 10. Simply tuning Concert Pitch to a frequency that is more in tune with nature can have a dramatic effect (particularly for sensitive types). 11. High Frequencies activate the mind; Low Frequencies calm the body. 12. Consistent patterns let the mind then focus on other deeper aspects of the sound and consciousness because your brain no longer needs to track changes. Changing patterns activate the brain – particularly for learning and productivity (Mozart Effect). 13. The iso-priniciple can be used to match a person’s mood in order latch on to their current state of mind, so you can then slowly change it. 14. Left and right placement of sounds in a mix access different parts of our brain, and different structures of mixes can actually approximate Sacred Geometry Structures. 15. Various effect parameters (compressor/limiters, delays, flanging, chorusing, phasing and reverb) affect our emotions and brainwaves.